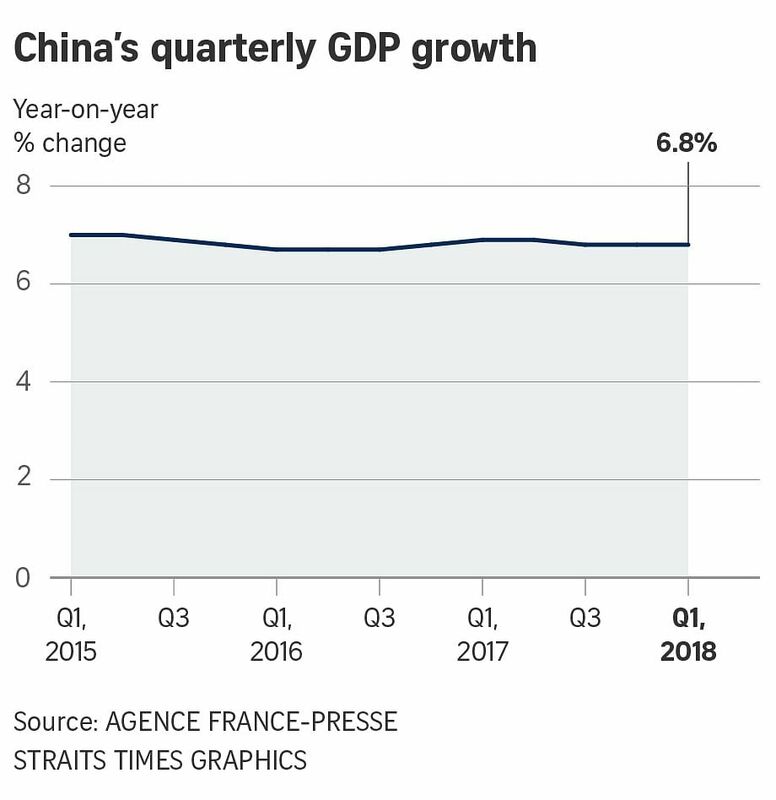 BEIJING (AFP) - China's economy grew a forecast-beating 6.8 per cent in the first quarter, official data showed Tuesday (April 17), overcoming Beijing's battle on financial risk and pollution and trade tensions with the US. "Years of unfair trade have hammered American families and plundered American wealth," Trump said Friday in his weekly address. "We have no other choice," Trump said. Output at China's factories and workshops expanded 6.8 per cent year-on-year for the first quarter, matching the expansion seen during the same period last year, but below the 6.9 per cent forecast by Bloomberg News. Industrial production grew by six per cent in March.